Part I of this article sought to explore the bent-legged deadlift from a contextual perspective, which, while not new or unknown, seldom receives consideration. Broadly speaking, its full applicable utility and importance transcends the roles of a contested lift and a time-honored lower/upper-back builder. Foremost, the repetition bent-legged deadlift exercise is the only maneuver to rival the vaunted back squat in possessing the wherewithal to single-handedly upgrade the overall musculature by a pronounced degree. The extraordinary extent to which either major movement is independently able to transform one's physique can be characterized with a colorful J.C. Hise expression--ultimate "Man-Making" exercises. Some may question the need to pay homage to the deadlift when we have the squat with its illustrious track record. As pointed out previously, due to idiosyncrasies in skeletal leverages, some individuals, over the long haul, may be better served by the bent-legged deadlift exercise. Further, there are unique case-by-case circumstances regarding existing conditions, a lack of training space and/or necessary equipment, or just a natural proclivity for the deadlift, which push it past the squat as one's personal priority choice. As long as one makes up his or her mind to work at the bent-legged deadlift diligently and intelligently, he or she will be richly rewarded. At first blush there would seem to be little mystery to this topic. After all, it's the simplest of exercises to perform. Following warm-up sets, do a set or two with a poundage which permits the performance of roughly 10-20 reps, once weekly, apply some form of sensible poundage cycling, and the formula for getting the most out of yourself is complete. Actually, the rest of this article is not so much about sets and reps as it is about possibilities, attitude and keen application, along with some side issues which can maximize overall results. Likewise, there are potential pitfalls to be aware of. As stated countless times, in order to develop fully the entire musculature of the human body, one must engage in a lot of hip-leg-back specialization. HARDGAINER has profiled a few individuals who have dedicated the bent-legged deadlift exclusively to this protracted task, thereby casting themselves in the role of deadlift specialists. While this is an extremely workable strategy, here's some food for thought for those in this category: In milking the most from the deadlift, generous amounts of patience will be required. Due to the grinding nature of the exercise when done with heavy weight for reps, its practice can be very draining, especially on the nervous system. Therefore, taking every set of deadlifts "to the death" all of the time may not be wise. Perhaps more so with the deadlift than any other exercise in the weight man's repertoire, smart poundage manipulation over time is imperative. An excellent source for guidance on this area is Stuart's book BRAWN. While many who engage in true deadlift specialization do so because they feel more biomechanically comfortable with the movement, and/or it poses less of an injury threat than does the squat, recognition should also be taken that even one's inherent physical assets can become problematic if they are not managed properly. Specifically, very tall trainees, as well as those with a classic deadlifter's build (short torso, long legs and arms) tend to use an inordinate amount of back when they deadlift. Sooner or later, most deadlifters realize that by setting their hips higher when beginning the movement, the greater their leverage advantage and, therefore, a better poundage is attainable, even for reps. Obviously, a lesser degree of leg flexion permits enhanced force generation. After all, in terms of sheer poundage, most trainees can register a much greater weight in the quarter squat than they can in the parallel squat. Up to a point, this technique is permissible and, frankly, expected with most of those who gravitate toward the deadlift. However, the "stop sign" should come up when a trainee leads with his hips out of the starting position to such an exaggerated extend that he can only raise the weight with a very humped-back, stiff-legged style. This is why, in my opinion, every rep in a set of deadlifts should be started from the floor and a conscious effort be made to move the weights from the floor by pushing hard with the feet. More on this style later. Granted, examples of super deadlifters like Bob Peoples from the 1940s, and Vince Anello of the 1970s, can be cited as exponents of the "no-no" style, who seemingly got away with this technique from an injury standpoint, despite playing around with some outlandish weights. Bear in mind these gentlemen were several cuts above the typical trainee, as we'll see in regards to Mr. Peoples later in this article. Common sense would dictate that allowing one's deadlift form to lapse excessively for the sake of achieving greater and greater exercise poundages is a mistake for most. Pertinent form elements for the deadlift specialist to strive for include the following: Seek a good, reasonable starting position, and begin every rep in every set from this position. By the same token, no one is advocating going to extremes in the other direction, or seeking to "squat the weight" up. Practically speaking, this approach would fall into the category of sumo-style deadlifting. This is a manner of elevating weights from the floor more suited to the squat-advantaged. I'm dealing strictly with the conventional version here. Once a solid starting position for the deadlift has been established, the trainee should focus on pushing or driving his feet strongly into the floor to move the weight, rather than yanking on the bar. Of course, this requires that the deadlift specialist not ignore the role of leg strength in deadlifting. Oops, it would seem that I've contradicted myself and am making a case for the indispensability of the back squat. Not necessarily, as improved leg power is very possible via usage of the bent-legged deadlift, especially when it's done off a raised surface. The elongated range of pulling motion forces the hips to be lowered slightly in the starting position, and, again, consciously break the bar off the floor by exerting leg power and pushing hard with the feet. Do not underestimate the potential of deadlifting off a raised surface as a power builder, or a developmental medium for the musculature of the lower body, even though it will not allow quite the same exercise poundage as the regular bent-legged version. A built-up surface of 2" to 3" from which to perform the bent-legged deadlift is sufficient. Frankly, newcomers to this elongated deadlift are advised to commence with comparatively light poundages as there will probably be a few degrees of new flexibility to be gained, and the likelihood of experiencing extreme muscular soreness can be minimized. Furthermore, this particular exercise has additional relevance to the deadlift specialist because the increased range of motion will improve the stability and strength of the lower-body joints. One deadlift specialist who employs and emphasizes all of the themes I've brought up here is Al Gerard, whose name was men-tioned in Part I. Al is a competitive powerlifter with an official deadlift of 625 lbs (done at a bodyweight of 205 lbs, and past age 40) to his credit in ADFPA competition. It's probably safe to say that Al prepares for meets differently than most other lifters. When I last interviewed the "Father of the Trap Bar" in 1992, he mentioned in passing that when readying for a contest in the prior November, he did absolutely no back squats from January of 1991 to that August, engaging in the practice of this lift only once weekly for two months prior to the actual contest, where he managed 500 lbs to the judges' satisfaction. Nevertheless, Al assured me that in the months (January to August) prior to his pre-contest squat binge, his legs and hips received plenty of heavy work via Trap Bar deadlifts and nothing more. Experience has shown Al that the general strengthening effect from bent-legged deadlifts with this device carries over magnificently to the competitive squat and deadlift, with minimal focused peaking. As you'll recall from Part I, Gerard's lower back has a history of breaking down from prolonged exposure to heavy squatting. Hence, relying on the Trap Bar deadlift to build functional lower-body strength throughout most of the year, permits Al to lessen his chances of injury while still whipping himself into shape for the competitive lifts. Plus, let's not forget that because the Trap Bar allows the trainee to keep the resistance much closer to the center line of gravity while deadlifting, his spine is saved even more stress throughout the preparatory phase. Note, too, that the parallel hand grips of the Trap Bar put the forearms in a more efficient lifting position, and dramatically lessen the chance of sustaining injuries to the tendons of the biceps. Elaborating briefly on Al's general off-season training routine, which, at least in terms of exercises, could easily be adopted by the average trainee, he engages in three distinctly different deadlift cycles, each lasting approximately 7-8 weeks. First, it's stiff-legged deadlifts while standing on the raised surface, with the intent being to bolster the lower back, glute and leg bicep areas fully. The next cycle focuses on bent-legged deadlifts while standing on the same block, which are aimed at promoting greater leg drive for bringing the bar off of the floor, as well as training the legs and back to work together in a coordinated fashion for the maximum force production. In the final preparatory cycle, Al does the regular deadlift from the floor, utilizing the Trap Bar as in the two preceding cycles. The intent here is to consolidate the gains he's made in the two prior cycles, and set himself up for a smooth transition to a few weeks of straight-bar deadlifts up to a meet. In case you were curious, the only other assistance work he includes with this trilogy of pulling exercises is the shrug done on a Trap Bar. Al's noted some very favorable side benefits in himself and others who have undergone his combination-deadlift approach: One tends to deadlift with less of an acute round-back style. Also, there's a tendency to assume a better starting position instinctively--back flatter, shoulders higher than hips, but with the hips still staying higher than knee level. And all of these good things occurring while achieving greater deadlift poundages in the end. That's not all. Al contends that one's squat will show improvement from this deadlift system, due to the enhanced lower back/leg biceps strength imparted by the stiff-legged deadlifts, and the increased quadriceps strength garnered from the work on extended-range deadlifts. 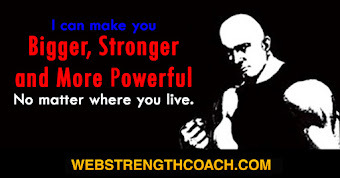 Strength author Bill Starr always contended that the best way to train the deadlift was to refrain from the lift in the main, concentrating instead on Olympic-style pulls, shrugs and squats. Gerard, however, is making the opposite case from Starr, that intelligent application of the deadlift and its variations can react favorably on the squat. Rather than looking at this as being confusing as to which lift is superior, maybe what's demonstrated here is parity, commonality and a considerable degree of transference between them. These illustrations of application to competitive powerlifting are insightful and instructive in the broad spectrum. However, as I specified in my opening article, my advice is primarily geared for non-competitive trainees who feel their physical tools are compatible with building their lower-body training around the bent-legged deadlift. This prompts the question as to whether the deadlift is a worthless pursuit for the non-competitive trainee with a squat-advantaged build. My opinion is that because the deadlift dynamically involves key muscle areas like the forearms, trapezius and lower-back, which when maximally developed add much functional strength and ruggedness to one's physique, this category of iron pumper should explore the deadlift too. However, he should go about it on somewhat different terms than it's usually pursued. Specifically, I would recommend that the average trainee who is more gifted at the squat to train both major lifts but tackle them separately. For example, do a squat-only cycle and when one goes stale on that, switch to a cycle of deadlifting only. Of course, it's understood that there would be the standard upper-body rows, presses and curls accompanying either cycle, not just mixing the squat and deadlift. My observation is that non-competitive trainees who do not have to conform to meet deadlines have an advantage over those who do. Most of the time, those in the latter category must do the squat and deadlift concurrently, thereby being forced to divide, on a week-in/week-out basis, their attention and, more importantly, their available energy and recovery ability between the two most demanding movements. The example of alternating squat-only with deadlift-only training cycles has its practitioners as far back as the 1940s, in the person of Bob Peoples. 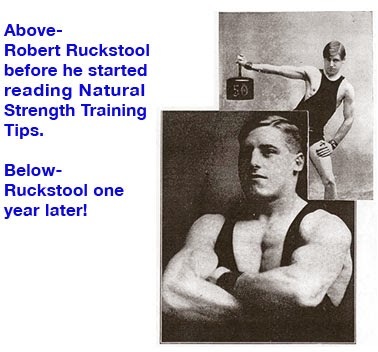 While he was an all-round strength athlete of accomplishment, in addition to being a stupendous deadlifter, there's precious little about him in magazines of his time. Thanks to Joe Roark, my exploration for details on Peoples yielded the most expansive profile of this mighty resident of Johnson City, Tennessee, in the April/May, 1952 edition of IRON MAN. One of the more successful training strategies outlined in this account, in Peoples' opinion, centered on working the squat and deadlift independently for stretches of time. Of course, he mixed other extraordinary tacts with this style of alternation. For one thing, on this routine he preferred to do single lifts, starting light and working up to a limit, or nearly so, single for the day. Okay, hard gainers, brace yourself for this one: As much as his farming duties allowed, he preferred to work the "lift of the cycle" like this every day. He did this until he started to go stagnant on the lift, at which point he'd switch over to the other major lift which he had not been working. Then he'd pursue that on a daily, heavy-singles basis until going stale on it. Peoples found variety and renewed progress in bouncing back and forth between the squat and deadlift, contending that this approach gave him very good results. In the interests of full disclosure, though, Peoples did state that he used other productive systems aside from this one. 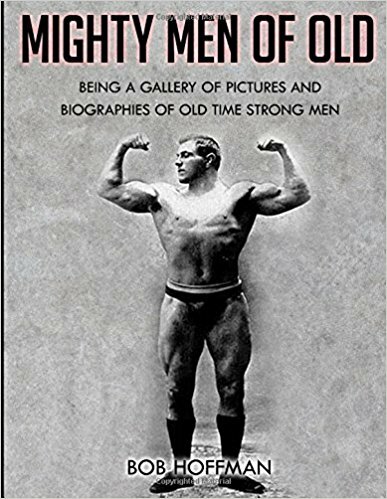 Digressing for a moment, obviously Peoples was very much a "specimen" as evidenced by his clean-grip deadlift of 725 lbs, and 530 lbs full squat, at a bodyweight somewhere in the low 180s, done back in the 1940s. 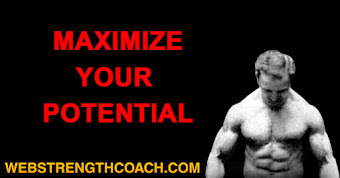 Also, there's the matter of being able to prosper from daily ultra-heavy training. And also bear in mind that he trained alone in barns or cellars with no moral support from others, and did his great lifting feats in exhibitions devoid of competitive stimulus from others, and registered terrific physical achievements despite making a living working the land. Imagine how the physical drain and long hours required by his occupation interrupted his ability to train with consistency. Perhaps they had Bob Peoples in mind when the Superman character was brought to life. Returning to the bent-legged deadlift and its variations that have purpose and productivity, consideration should be given to the periodic usage of the partial deadlift done in the power rack (or off boxes) and repeated in reps of 10-20. Because of the decreased range of motion and more favorable leverage positions, very substantial poundages are possible, even for higher reps. Of course, these factors are what prompts the musculature to respond so dramatically. But, good exercise form--lifting and lowering the weight under control, and resetting for each new rep--should always be observed. Typically, trainees tend to allow these greater poundages to move with the aid of increasing ballistic momentum, generated by banging the bar off the pins in the power rack. Not only is this tact hard on the equipment, but it increases one's risk of injury while robbing the working muscle groups of much overloading. Considerable compressive forces are being imposed on the spine, so use the combined power of the legs and lower back in a coordinated fashion, and do not become overambitious, sacrificing form for the sake of enormous poundages. 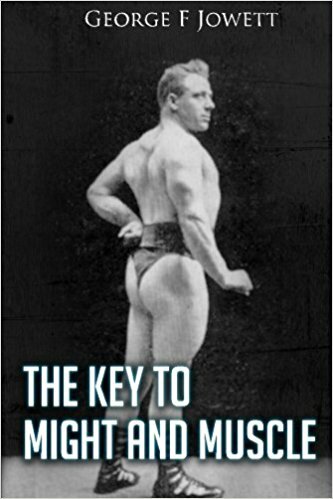 To my knowledge, one of the earliest might and muscle figures to regularly espouse the partial deadlift was Harry Paschall, feeling that, when starting the deadlift from just below the knees, the lifter would avoid the precarious "stooped over" position most people assumed when taking a weight from the floor. Besides, the higher starting position permitted greater weights, in addition to the safety factor, thereby blasting the pulling muscles even more. 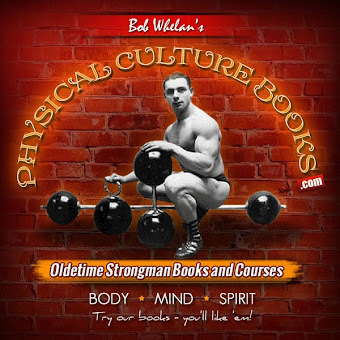 Those possessing a collection of Joe Weider's YOUR PHYSIQUE from the 1950s may have noticed that Charles Smith raved and raved about the benefits of this exercise for Olympic lifters (there were no power-lifters as we know them today, in that era) and bodybuilders. Smith believed that this movement was unparalleled for imparting sheer body power, and especially for strengthening the pulling muscles. Additionally, Smith stated that the partial deadlift was in the vanguard of a select few exercises which truly had the potential to completely revamp one's physique. Paschall was of the opinion that this was a pure power-type exercise and should be pursued with sets of 3-5 reps, with the bar positioned in the rack just below knee height (when the knees are bent in the starting position). On the other hand, Smith reco-mmended sets of 15-20 reps, advocating the bar should start just above knee level. Even though he espoused high reps, Smith warned against developing mental ceilings about exercise poundages in the partial deadlift, emphasizing that 500-600 lbs for a couple of sets of 15-20 counts was not really that much to write home about for an advanced barbell man. For my money, once per week is plenty on the partial deadlift. Actually, depending on age, recovery ability and poundage capabil-ities, some readers may profit more by attacking this exercise vigorously every other week, regardless of the rep range used. When it comes to partial pulling movements, quality variations of variations exist. 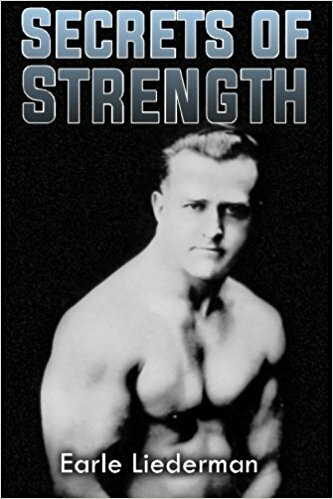 In his book THE STRONGEST SHALL SURVIVE, Bill Starr touts an ultra-heavy shrug movement which commences from just above knee height in the power rack. Although technically not a true deadlift maneuver, in that Bill's prime objective is to overload the trapezius muscles maximally, as opposed to all of the pulling muscles in general, the lower back receives significant loading. As a matter of fact, Bill reports having worked with a few football players who got up to in excess of 700 lbs in this pull-shrug. Any movement, or class of movements, which offers this kind of poundage potential is guaranteed to have muscles galore popping out on those who apply themselves. As far as incorporating regular deadlifting, deadlifting off a raised surface, and partials into a training program, my basic suggestion would be to do one movement per cycle, á la Gerard. But, really, it is up to the individual to sort out the practical implementation according to age, personal recovery ability, objectives, mental commitment, available training time, etc. Straight bars and Trap Bars are not the only implements applicable to the bent-leg deadlift. As Eric Bryan documented in HARDGAINER issue #33, dumbbells are a viable alternative for this wonderful gaining exercise. Few of us ever consider this possibility because we so strongly associate these particular training tools with the practice of upper-body movements only. Frankly, I was guilty of failing to connect heavy dumbbells with deadlifting, until the mid-1980s when Dr. Ken Leistner submitted an article dealing with this very exercise for publication in MUSCULAR DEVELOPMENT. What a natural fit, and for reasons beyond just results. In broad terms, many of the same pluses from using the Trap Bar for deadlifts can be approximated with dumbbells, i.e., resistance kept closer to one's center of gravity, the hands applied in a more advantageous force-generating position while leaving the biceps less vulnerable to injury, and, because the plates of the dumbbells are smaller, the trainee must adopt a deeper starting position, thereby achieving a greater range of pulling motion. Perhaps the biggest drawback with the exercise for veteran trainees is finding dumbbells of sufficient weight, especially in the typical commercial gym where a pair of 100 pounders may be the heaviest. Here again, a home trainee may have an advantage in that he can secure a pair of the long, extra-heavy-duty handles, along with the required plates, and fashion his own "monster" 'bells. The unavailability of really big dumbbells was one reason why Leistner advocated high reps (15-20) in the dumbbell deadlift. 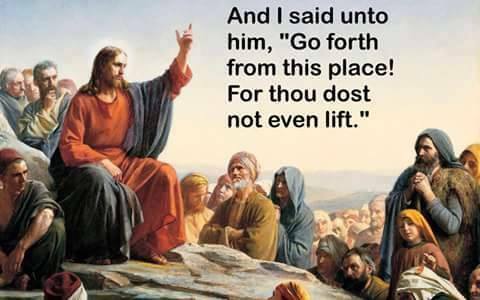 Still, 20 reps with a pair of 150-lb dumbbells would prove most challenging to the bulk of HARDGAINER readers. 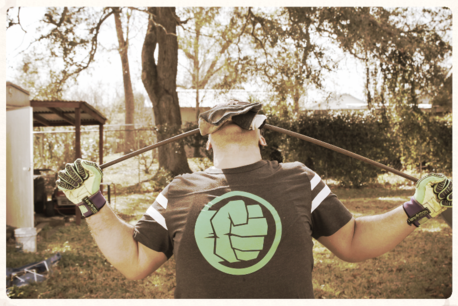 Be advised that this task would prove a lot tougher than the same rep number with a 300-lb Olympic bar.